Thank you for visiting Glenn's Golf Car Central, your 1-Stop Sales, Service, and Custom Design web site! Take a moment and click the VISIT OUR SHOWROOM tab to assist you in deciding which golf car is right for you. 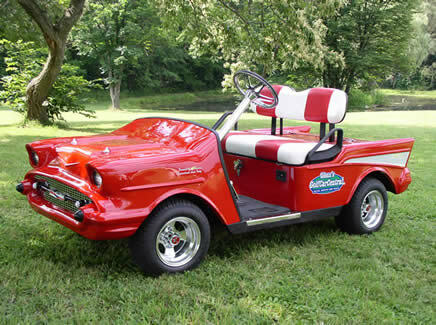 Are you looking for a CUSTOM BUILT Golf Cart for your business or organization? Glenn's Golf Car Central can customize and build a golf cart complete with your company logo, colors, and features to match your needs. We can customize gas or electric golf carts for the any of the following: Police Departments, Fire Departments, EMS, City and State Government Agencies, Schools, Colleges, University's, Nursing Homes, Hospitals, Security Companies, Sport Facilities, Car Dealerships, Camping Grounds, Resorts, Boat Clubs, Factory's and many more. 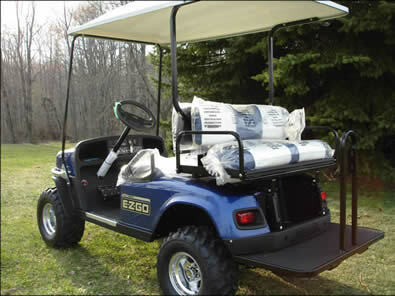 Additional photos of golf carts can be viewed by clicking the PHOTO GALLERY button at the top of the page. See something you like in the PHOTO GALLERY? Simply click on a photo of the cart that interests you and send us an email with the item number of the cart. We will email you additional detailed photographs of the cart with various features and angles. Copyright ©2015 Glenn's Golf Car Central, LLC.